Elections for the Papua New Guinea Athletes Commission (PNG AC) will be held during the Pacific Games in Samoa this year and Team PNG athletes are encouraged to be involved in it. Athletes from sports not on the Games programme will have the opportunity to vote at the PNG Olympic Committee Office in Port MoresbyPN. The elections are held every four years, coinciding with the Games where athletes have the opportunity to vote for their peers. Those elected will represent them on various committees about issues affecting them. The chairman and the deputy chairman of the AC will also sit on the board of the PNG Olympic Committee, according to a statement. They also work with other regional and international AC bodies to provide learning and developmental opportunities for athletes on different topics. Two elections will be held during the Games, one is the PNG AC elections to vote for athletes to become members of their commission. 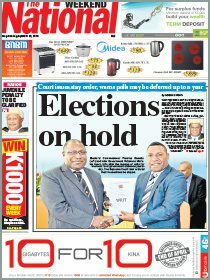 The other election is for the Pacific Games Council Athletes Commission (PGC AC), to which PNG AC deputy chairman Ryan Pini has been nominated for a second term. 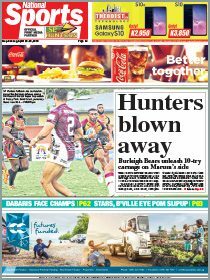 The PNG AC, led by chairman Karo Lelai, is encouraging other athletes to come forward and take up the responsibility as young leaders. “This is a great opportunity for athletes to gain experience in sporting administration and be the next generation of leaders,” Lelai said. Nominations for athletes to become PNG AC members can only be done by the National Federations. PNG AC advises that sports can nominate athletes from another sport if they wish to. Nominations will open on May 7 and close on June 7. Nomination forms will be sent out by the PNG Olympic Committee. Lelai and her team have been in office since the last AC elections which were held in Port Moresby during the 2015 Pacific Games. In that time, they have raised the bar in their role in ensuring that athletes’ concerns and views are taken on board by sporting bodies when making decisions on different agendas. Their work has attracted the attention of regional AC bodies with Lelai being elected as the chairman for the Athletes Commission of the Oceania National Olympic Committee and the Association of National Olympic Committee Athletes Commission. Meanwhile, Pini has also been busy with his election as a member on the Pacific Games Council Athletes Commission (PGC AC) and the Fina Athletes Commission. The PNG Olympic Committee has nominated him for another term on the PGC AC and PNG athletes are urged to support this campaign by voting for him during the Games this year.